As we approach the commemoration of the Battle of the Atlantic, the Maritime Museum of the Atlantic is pleased to welcome Bill Green of Remembering Canada’s Heroes, a Canadian Registered Charity bringing interesting Canadian Historical Events to the attention of High School Students in Atlantic Canada. Upon re-locating to Nova Scotia (Annapolis Royal Academy, Class of '57) Bill decided to continue the school visit program under a new Registered Charity: Remembering Canada’s Heroes, which takes WW ll, Korean War, Cold War and Peacekeeping Veterans into High School History classrooms in Atlantic Canada to deliver one hour presentations describing several important Canadian achievements since September 1939 which have been omitted or are understated in High School History textbooks in use in schools today. 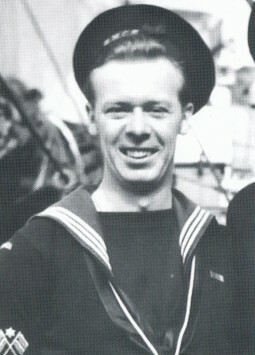 For example, he explores a number of themes centering around the roles played by the men and ships of the Royal Canadian Navy and our Merchant Navy during World War Two. Many of these themes and their importance are absent from high school curriculums across Canada, something which Remembering Canada’s Heroes project continues to address. 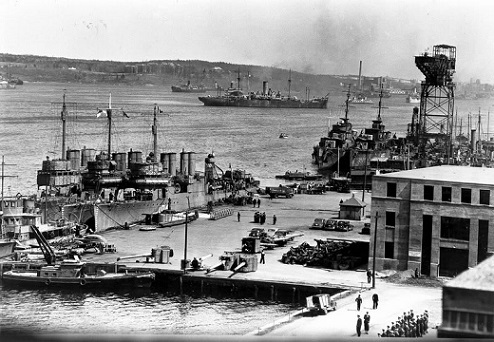 During the first 8 months of the War, over 40 Convoys left Halifax for Britain with vital supplies, which in May of 1940 enabled Britain and the nations of the Commonwealth to 'stand and fight' rather than enter a 'Peace' with Germany. 25% of all ship losses in the Atlantic during the War, occurred off the East Coast of the USA in the first 6 months of 1942. Why? Included in this carnage was the loss of over 100 oil tankers reducing the Dartmouth Refinery crude supply to less than 2 weeks. How and by whom was this oil supply problem solved and would a direct attack on the Imperial Oil Refinery in Dartmouth by German bombers, equipped with auxiliary fuel tanks in April/May of 1940 have ended the Battle of the Atlantic before it even began? Would an attack on the Refinery have reduced our ability to fuel the ships carrying supplies to Britain in 1940 and eliminated the need to attack British RAF Bases in the Battle of Britain? Would the British Colony of Newfoundland then be occupied? How many of us would not be here today? Bill with also address the fact that in the Summer of 1942 enemy U-boats entered the Gulf of St. Lawrence and sank 20 freighters, 2 RCN Warships and the passenger ferry Caribou. This invasion of Canada's Territorial Waterways is a topic still absent from school textbooks. 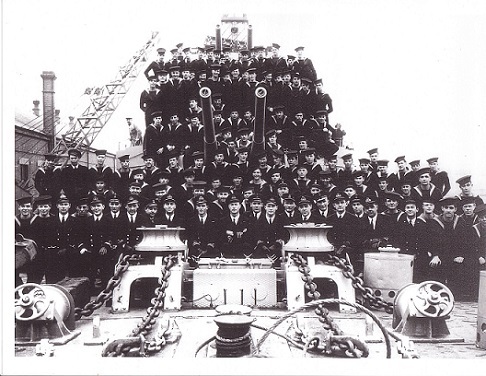 On April 29th, 1944, the RCN suffered its single greatest loss of 128 crew members when HMCS Athabaskan sank off the approaches to Normandy. Bill has had the pleasure and honour of meeting RCN SGMN (retired) Bill Connolly who survived the sinking of the Athabaskan and was to spend the remainder of the War in a German POW Camp. Bill’s story will be included in this presentation as will that of his wife, Vi, who also played a fascinating role during the War.